Sony Entertainment Television’s dance reality show Super Dancer created a lot of roar worldwide with unique performances by the contestants and their Guru’s. Now the show comes with his new Season which will be launched on sony tv. The series will be produced by Frames Productions of Ranjeet Thakur and Hemant Ruprell. Season 1 of the show was won By Ditya Bhande and choreographer Ruel Dausan. The Show aims to find a Kid prodigy who has the potential to be the future of dance. The Kids are aged between 4 - 13 years. They are not only required to have 3D’s of dancing Desire, Discipline and Determination but also should be a keen learner and a passionate dancer with a unique personality. This show will be an ideal opportunity for every Kid to hone their talent and dancing skills.It’s time to bring the real Superheroes. 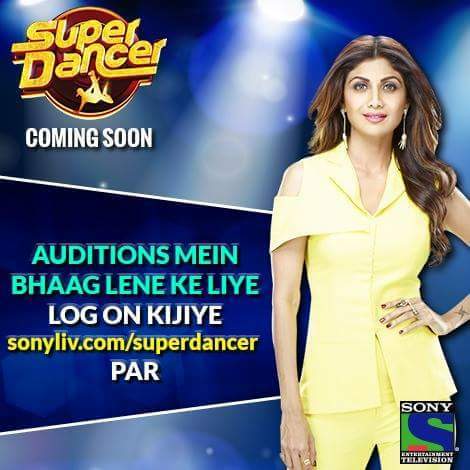 So Kids, what are you waiting for, here’s your golden chance to be the future of dance in Super Dancer. The auditions for Super Dancer Season 2 will start soon and will span across 15 cities across the nation. Promo of the Show is not officially Released by Sony Tv .